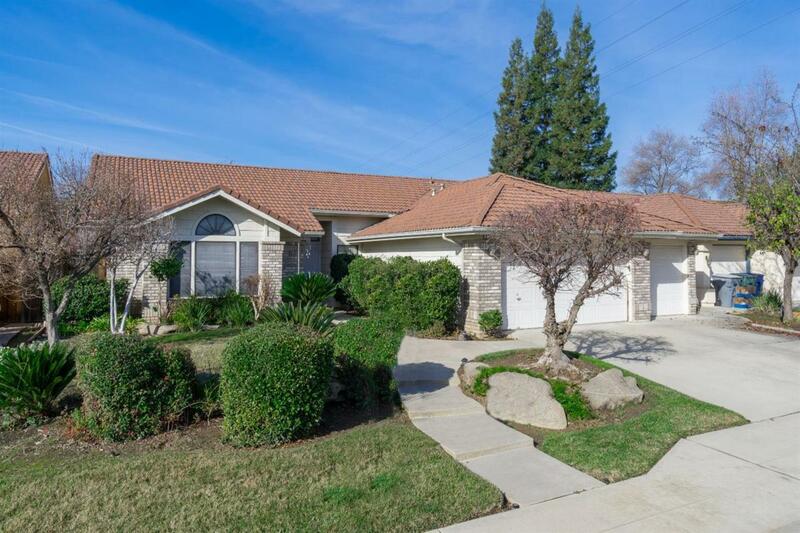 Terrific , tile roof, Single Story home on quiet street. Tile floor foyer flows to kitchen, kitchen eating area, Family room and hallway to bedroom wing. 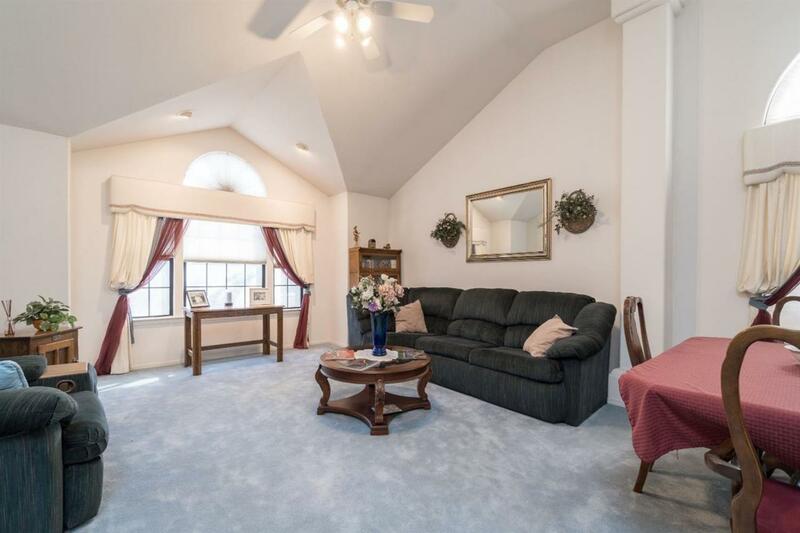 Attractive high ceiling in Living Room adjoins Formal Dining room w/ chandelier. Silouette blinds + draperies in LR & DR. Light colored wood cabinets in kitchen w/gas cooktop, large oven + microwave, dishwasher, disposer + Walk-in pantry. Family room features walk-in wet bar, pellet stove in fireplace & sliding glass door to huge covered patio. 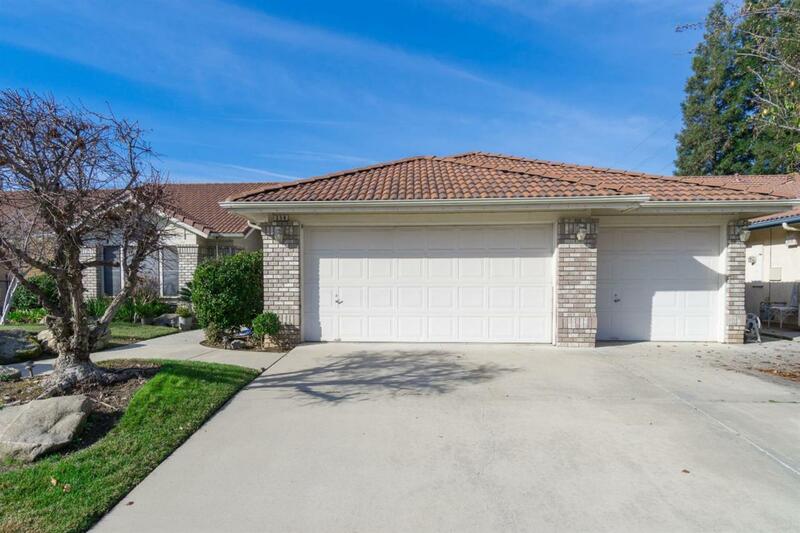 Luxurious master bath w/ separate tub + big stall shower & 2 Closets adjoins master bedroom featuring a cozy fireplace for winter & sliding glass door to Hot Tub for year round relaxing under a second patio cover. TWO HVACS SYSTEMS (separate One for bedroom wing!) 3 CAR GARAGE. 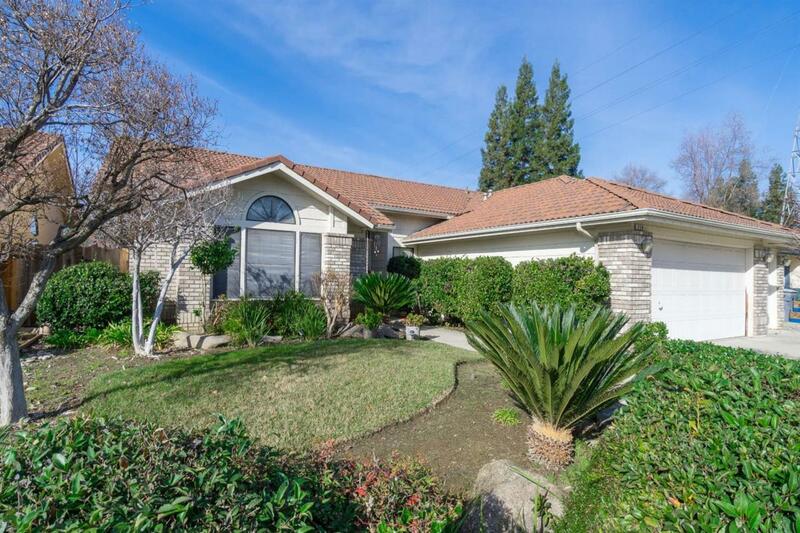 BEAUTIFULLY landscaped 8,432 sf lot.